I’m also romantic about writing. Actually, I’m kind of romantic about everything. I have a really bad case of hopeless romanticism, and have been accused many times by people who know me that I tend to see the world in an unrealistic way. That may be true, but I also do see the world in quite a realistic way. Sometimes that makes me resort to my hopeless romantic bubble, which I don’t mind being inside. When we travel, we learn more about the world around us AND ourselves. This is just true and tough to argue. No matter where you go or how far you travel, you begin to see the world differently because you are stepping outside of your comfort zone. As you learn more about yourself and your surroundings, it’s a good idea to document your travels. A journal might be your best bet if you are a prolific writer—and someone who enjoys reading what you have discovered and documented along the way. 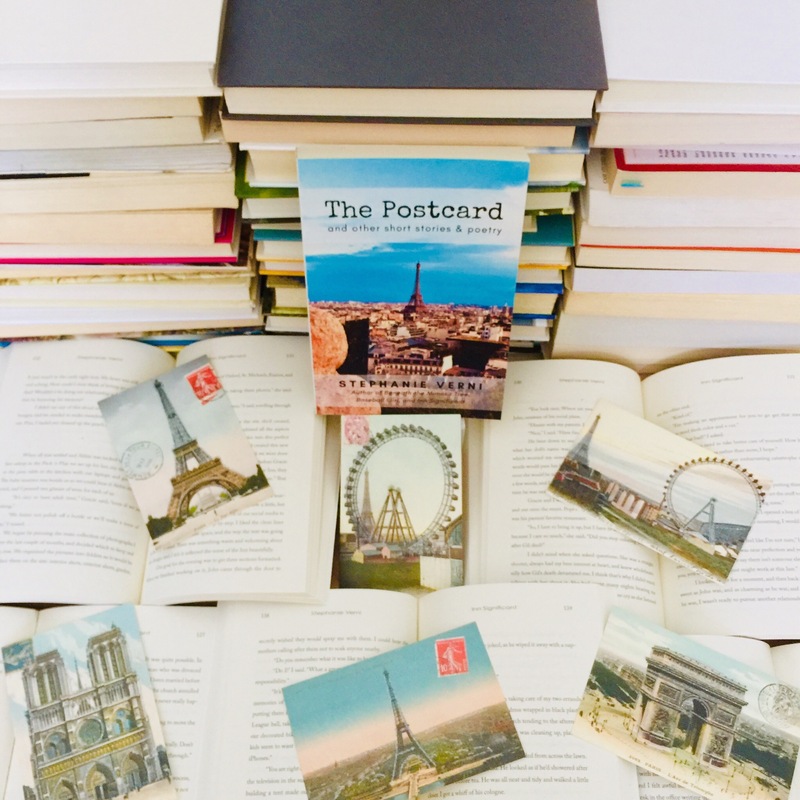 Another great idea, which I love so much, is to mail postcards to yourself from your travels with little insights and pieces of whimsy included in them so that when you get home, you are delighted by your memento from your trip. Plus, postcard pictures are always so gorgeous and make a great keepsake or remembrance to be collated and displayed in your own home. The book I published last summer, The Postcard and Other Short Stories & Poetry, is a collection of stories that takes place in various cities and settings. The title story, The Postcard, takes place in London and Paris. There’s a story set in the Cotswolds in England. There’s a story set on Maryland’s Eastern Shore. When I travel places, as a writer, I’m always thinking about how I can incorporate a setting into my story. I strive to make that setting come alive with vivid description, key, signature notables of that place, and lively characters that live in and among the village. The way things are going today with less and less written correspondence and more and more electronic correspondence, I yearn for something tangible that I can look at again and again in the future or pass along to my children. Postcards, letters, and cards should be kept alive, but it’s up to us to do that. It’s up to us to keep it going.